Nicki Minaj is on the promo train. 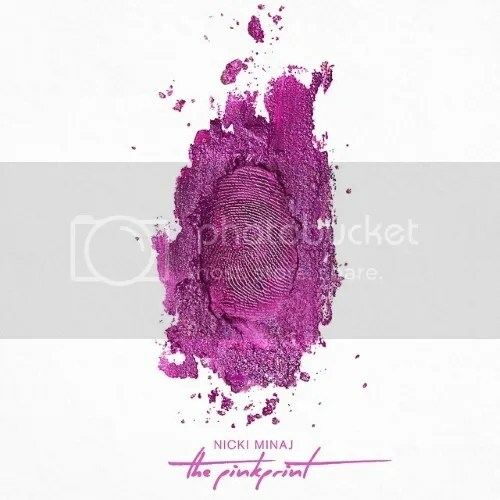 Her third album, The Pink Print, the name being a nod to/ reinterpretation of Jay-Z’s The Blueprint, is due in stores December 15. And while everyone is waiting, she landed on the cover of Billboard Magazine. The above photo, posted on Instagram, features a shout out to the DONDA Agency, who was likely the design team behind the cover art. It is a minimalisticthumbprint made in pink dust. Well done, Nicki. Well done. Already riding high from the success of singles, “Pills n Potions” and the Sir-Mix-a-Lot sampled “Ananconda,” Nicki shows no signs of stopping with the release of new single, “Only.” Featuring Lil Wayne, Drake and Chris Brown, you get to to hear her Minajesty depart from her previously pop-flavored releases. December 15, will surely feel like Christmas came early for Nicki’s Barbz. Will you be picking up your copy of The Pink Print?